The Classic range from Simpsons features an eye-catching silver frame and extravagant 8mm glass, the Classic range is a luxurious range that has been developed for those whom only the best will do. 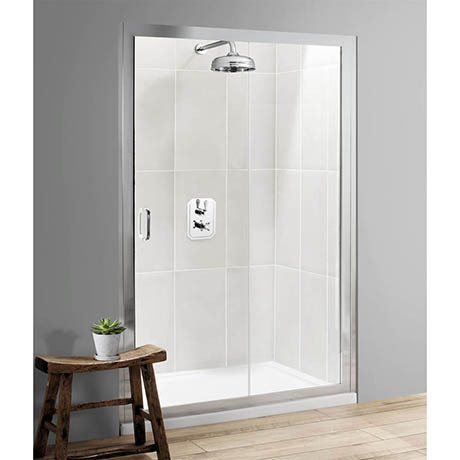 The Simpsons Single Slider Shower Door features an 8mm toughened glass sliding door, 60mm adjustment for easy fitting and a beautiful Silver finished frame. Comes with a lifetime guarantee and a ClearShield coating that makes this enclosure high quality and great value for money. The Classic Single Slider Shower Door can be combined with the Classic Side Panel (sold separately) to create a corner enclosure.